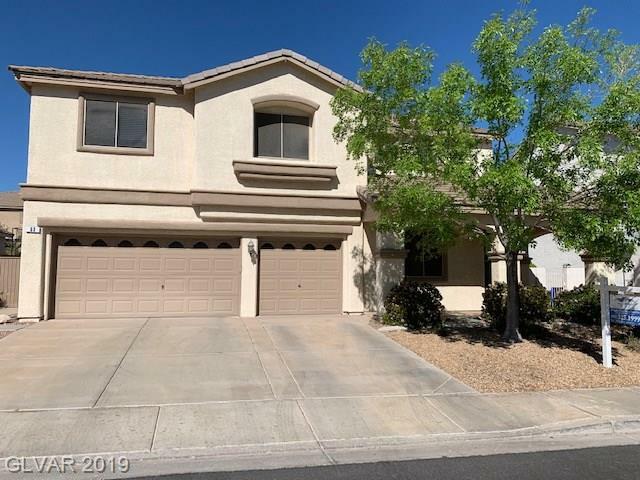 Checkout this amazing 2 story home located just minutes from Green Valley Ranch. This home is in close proximity to schools, parks and shopping centers. Property features: 5 BR, 3 BA, 3 car garage with RV parking, formal living room, family room, dining area, upstairs has a large open loft/game room. Open kitchen with a large island and nook. Amazing large open backyard with a CVpatio, pool, grass area and built-in BBQ. Two NEW 16 seer AC units! Directions: From 215/Stephanie- S On Stephanie, E On Paseo Verde, N On Chapata Dr, E On Casady Hollow, S On Hidden Mesa - Home Is On Your Right Hand Side.